Aw, how cute. Kevin’s village is missing its idiot. If there was a God, then it appears in Genesis that His greatest wish was to keep Adam and Eve stupid and unquestioning. As soon as anyone tells me I do not need to know something, my first question is what are you hiding? What exactly is your God hiding? Inquiring minds want to know. God put Adam and Eve in a perfect garden…They were in a state of innocence. God was hiding something from them yet he had to give them the opportunity to choose him or it. To be perfectly fair, God had to give them this opportunity to choose. The knowledge of evil and of death. When they ate of the tree of knowledge that God commanded them not to eat they had chosen for themselves to find out what knowledge it revealed. 2. This sin leads to their spiritual and eventually their physical death. GOD is the one who planted the Tree of Knowledge of Good and Evil in the garden of Eden in Genesis you Atheists! WHAT DO YOU HAVE TO SAY TO THAT?? Hi Kim, Sorry it wasn’t clear – we mean if you create your own Tree of Knowledge, we’d love to have photos of it to share. I would be VERY supportive of this . 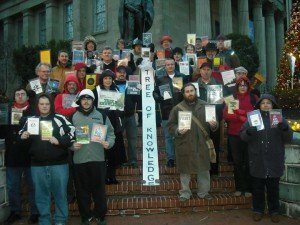 . . there are so many “tree of knowledge” pictures perhaps it would be easier to allow a vote on different pics instead of asking people to send in their favorite. Just a thought.